Incredibly modern (and incredibly easy!) 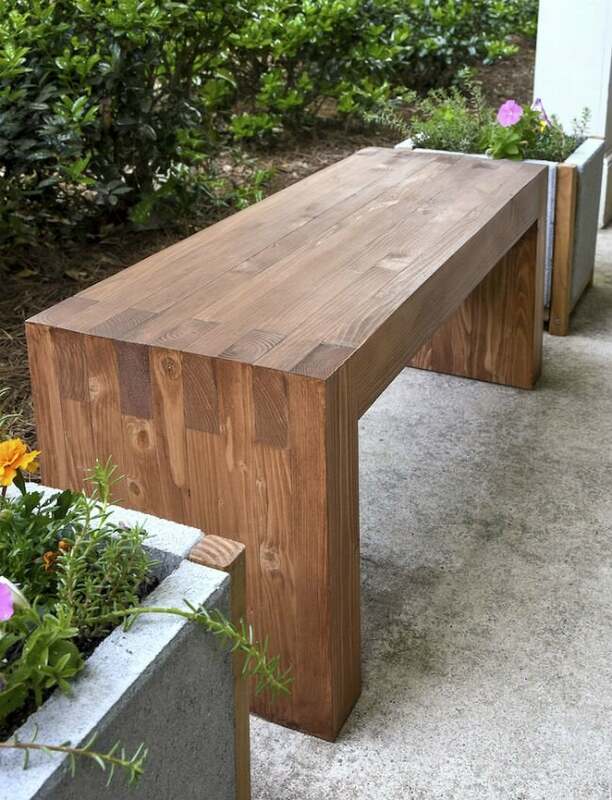 this outdoor bench makes a statement on any deck, porch, or patio. When the warm weather comes around, it’s natural to want to spend time lounging outside. But for Amy of DIY Candy, the porch lacked a perch that would allow her to sit and stay awhile. After devising a plan and picking up a few supplies, she went to work to create this mod build for only $35. First, Amy milled the edges of every piece of wood, and cut then cut them to size. 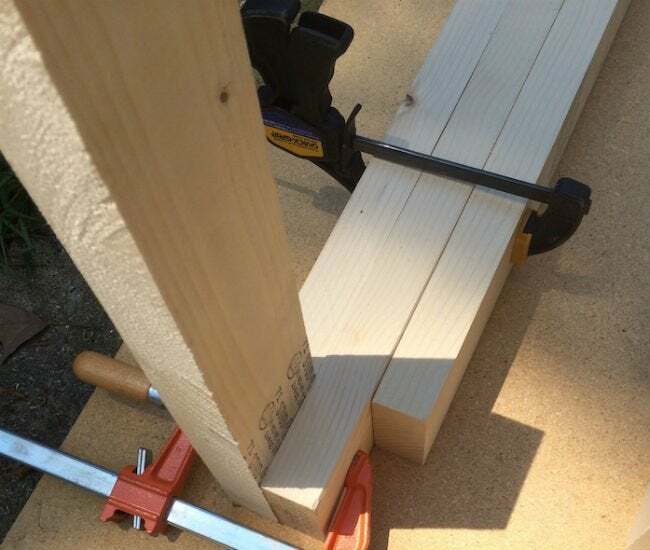 Next, she began assembling, forming a modified box joint and then using wood glue and clamps to connect the pieces together as she went. 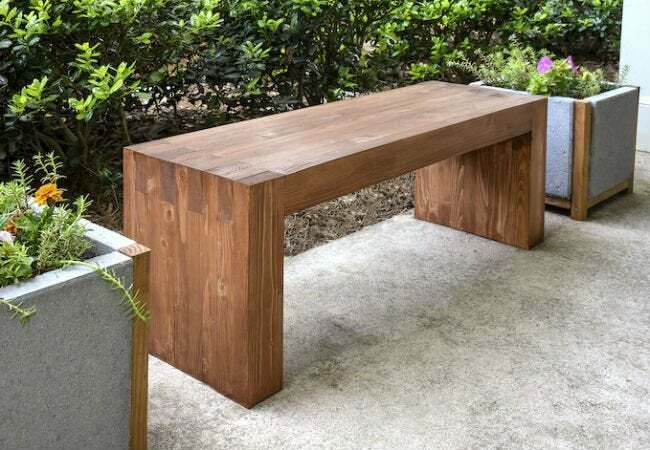 One the bench was put together, she let it dry overnight. From there, Amy sanded the wood to get everything smooth, and gave the piece a few coats of stain and sealer for a sleek finish. Get all the info you need for this outdoor-friendly DIY, and find more inspiring projects, at DIY Candy.